I came to Cebu on Biz trip. It was so hard schedule to check the sample and production. There were some kind of problem…but variable for me. After that , I will make a drawing about the new item. 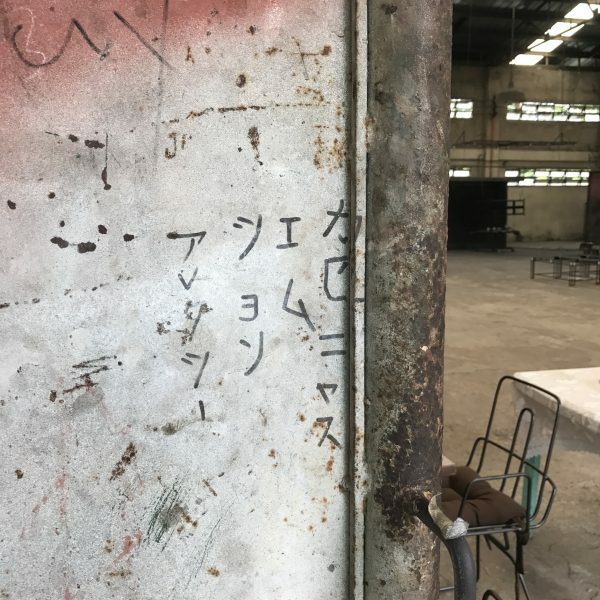 The photo is the factory scribbling wall. Is it a staff name in Japanese?